Dragon Quest Builders 2 releases very soon, so it’s about time we heard about plans for DLC. Ahead of the release of the newest Dragon Quest Builders game, Square Enix held the game’s final livestream. Part of the stream focused on what’s to come, giving a rough schedule for post-launch DLC. While fans will have to wait a little bit before it’s available, it will give players even more tools to show off their creativity. The first set of DLC will launch in April 2019 for around 700 yen. Not a ton of details were given about the pack, but it will feature over 20 item recipes for builders to utilize. The second DLC pack, coming in May of 2019, is a little more substantial. Its price of 1200 yen reflects that. 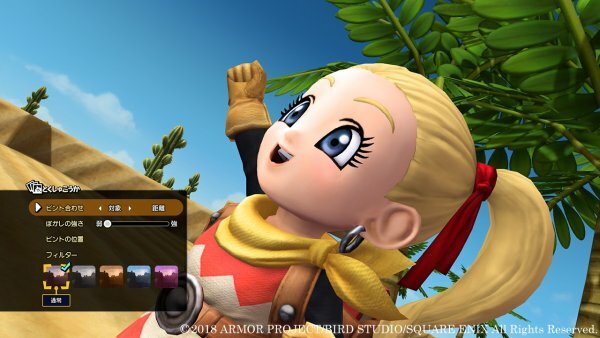 While it features fewer item recipes (around 10), it will bring “additional systems” to Dragon Quest Builders 2. While there isn’t much to go off of yet, Square Enix promises more information will be given in the future. In addition, if you have a Japanese PSN account, the Dragon Quest Builders 2 demo is now available! Unlike some demos, it doesn’t offer you the full game. Instead, it features the full tutorial and a chunk of its first island. It’s also a single-player only affair, with no multiplayer offered. However, you can take advantage of the Bulletin Board features, using the game’s photo mode to create masterpieces that will be seen by players on all platforms. Dragon Quest Builders 2 will be released on December 20, 2018 for the PlayStation 4 and Nintendo Switch. While a Western release has been hinted at for 2019, nothing has been confirmed yet. Hopefully, now that the Japanese version is almost out, we’ll hear more soon.